At the start of the Asta Gel Liner series, I did mention that I would be using the gel liners along with the Hegai & Esther 12pcs brush set. In this post, I will be reviewing the 12pcs brush set, giving you my thoughts about each one and telling you what I use each brush for. 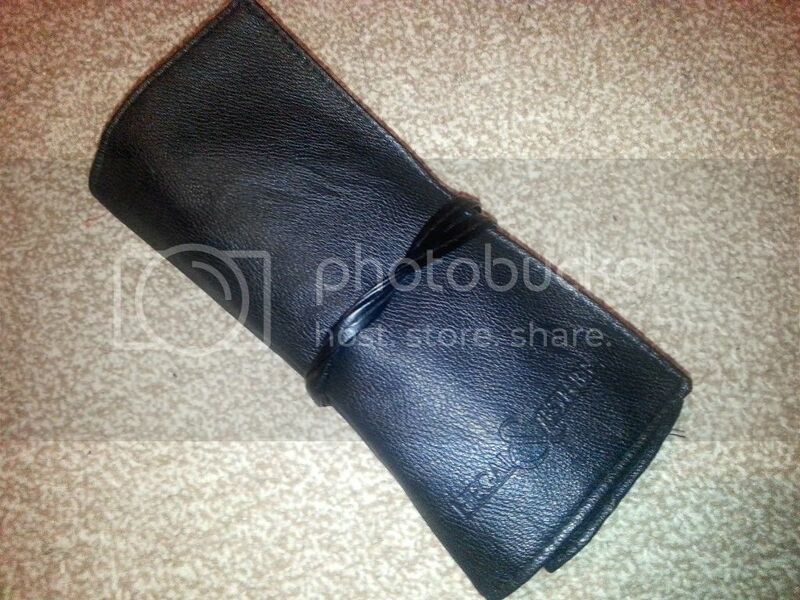 it has a flap and an inner side zip which can be used to put in smaller items eg. tweezers, hand-held mirror etc. Eyeshadow shader brush - made from natural fibre, this brush is to be used to apply eyeshadow on the lids. I use it for just that as well as using the edge of the brush it doesn't have a fluffy edge) to apply colour to my lower lashline or smudge colour in that area. Eyeshadow crease brush - made from natural fibre, this brush is for applying colour to the crease of the eye. Flat foundation brush - made from synthetic fibre, this brush is for foundation application. Angled Cheek brush - this brush is made from natural fibre and is supposed to be the blush brush in this set. I however use it for contouring my face. The brush has a very slim profile which makes it perfect for creating that line of contour colour from the hairline above the ear to the cheek area right beneath the plane of the cheeks. Stippling brush - duo fibre brush made from both synthetic and natural fibre. This brush is for foundation application. When I first saw it, I was skeptical and was of the opinion that it wouldn't be able to apply foundation properly. This opinion was mainly due to the fact that the bristles are longer and not as dense as others I have known. I gave it a try though and it worked perfectly. I must say though that this brush is only perfect for liquid foundation. A light stippling and circular motion is also to be employed to get the product into the skin. Powder brush - natural fibre brush for all over the face powder application. Eyeshadow shader brush - natural fibre brush meant for eyeshadow application. Considering that flat shader brushes are meant for applying eyeshadow to the lid of the eyes I would say that is what it is meant for too. I, on the other hand, use it for applying brow highlight colour. The flat edge provides me with the clean highlighter line needed to define my brows. It is the largest shader brush in the set so is perfect for this purpose. Eyeshadow shader brush - natural fibre brush for eyeshadow application. It is the smallest shader brush in the set. I use it for my brows, before and after filling them in with brow powder. I also just use it to keep them in place when I am not filling them in. Angled brush - this brush is actually to be used for filling in the brows. As usual, I use it for filling in my brows (as usual because that is what I use most angled liner brushes for) and a couple of other things like lining my upper lashline and applying colour to my lower lashline area or even defining my lips with concealer. Eyelash/Eyebrow brush - it says eyelash on the brush itself though. My brows are too thick and coarse for the eyebrow brush to go through so I only use the lash comb for when I have applied too much mascara or the product is a clumpy one. Lip brush - a lip brush with a cover, it is for lip colour application. Overall, this is a pretty cool brush set. 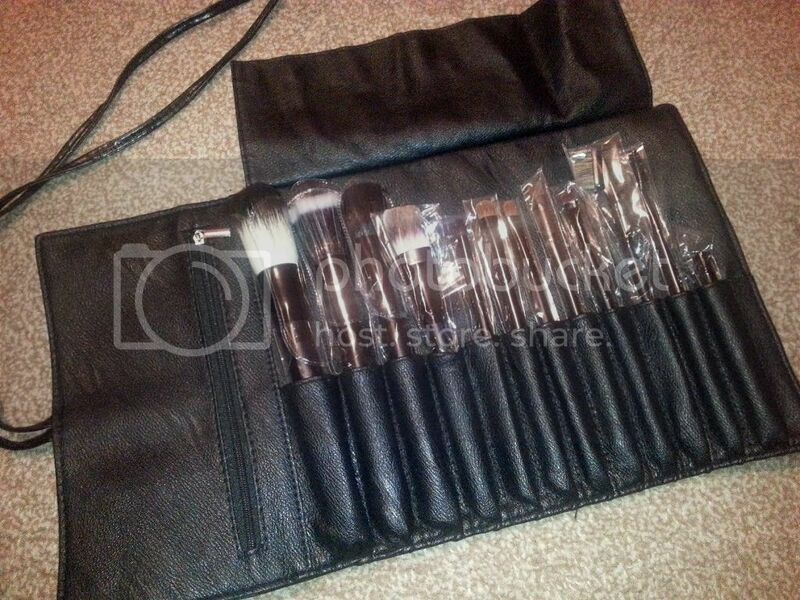 I wouldn't call it a pro brush set as it lacks a lot of the more multi-purpose brushes pro sets have but it is great for personal use or for an amateur makeup artist. 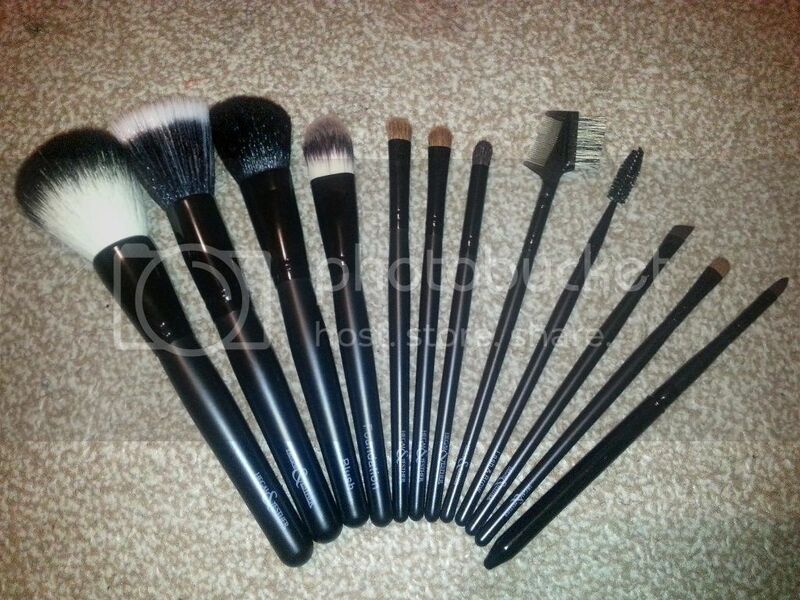 Considering I am a makeup brush hoarder and I can never have enough of them, this set is very welcome into my collection and already has my love.